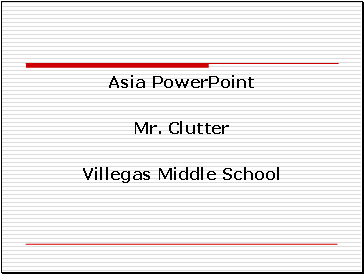 Invented the catapults and started a postal system. 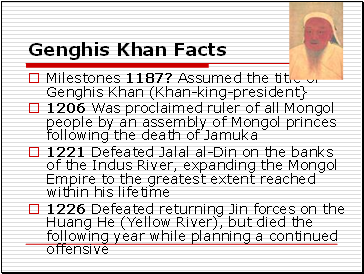 Legend holds that Genghis Khan was born with a clot of blood in his hand, indicating his destiny to become a conqueror. 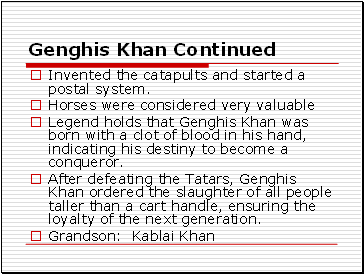 After defeating the Tatars, Genghis Khan ordered the slaughter of all people taller than a cart handle, ensuring the loyalty of the next generation. 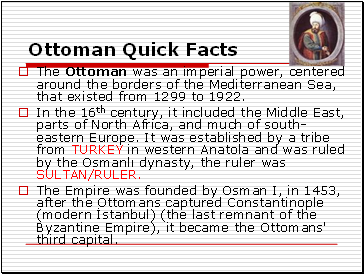 The Ottoman was an imperial power, centered around the borders of the Mediterranean Sea, that existed from 1299 to 1922. In the 16th century, it included the Middle East, parts of North Africa, and much of south-eastern Europe. It was established by a tribe from TURKEY in western Anatola and was ruled by the Osmanlı dynasty, the ruler was SULTAN/RULER. The Empire was founded by Osman I, in 1453, after the Ottomans captured Constantinople (modern İstanbul) (the last remnant of the Byzantine Empire), it became the Ottomans' third capital. 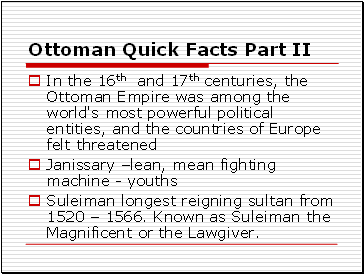 Suleiman longest reigning sultan from 1520 – 1566. Known as Suleiman the Magnificent or the Lawgiver. 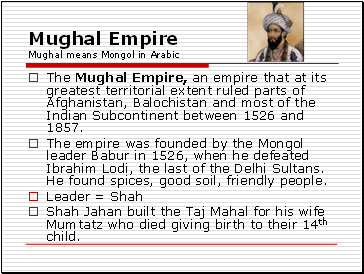 The Mughal Empire, an empire that at its greatest territorial extent ruled parts of Afghanistan, Balochistan and most of the Indian Subcontinent between 1526 and 1857. 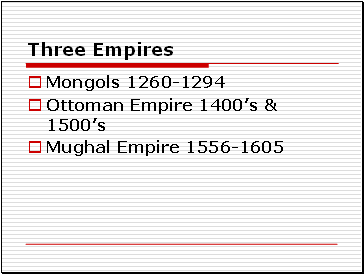 The empire was founded by the Mongol leader Babur in 1526, when he defeated Ibrahim Lodi, the last of the Delhi Sultans. He found spices, good soil, friendly people.